Want the ability to service a mobile home or RV? Many options are available with the Versa Ped. We can help you determine what you need. 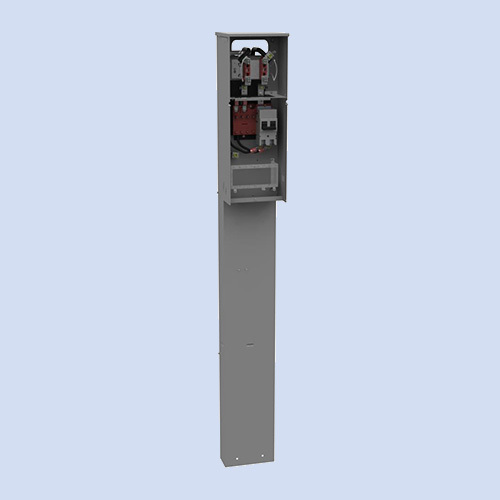 The Versa Ped is a direct bury pedestal with a main breaker and you select the amperage (100, 125, 150, or 200 amp). It has a 120/240v ringless meter sockets with horn bypass and a 4 circuit interior. 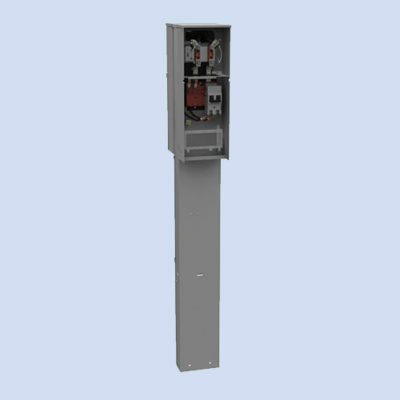 This pedestal is ideal for a combo RV / mobile home application because you can add-on receptacles for RV use. 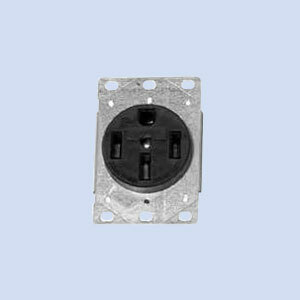 Options: receptacles, fifth terminal, pad mount, ring-type series or parallel wired.